In early May Capetonian Cameron Bellamy and an International rowing crew flew to Australia to begin their trans Indian Ocean rowing quest. The 7-man crew aim to establish a World First by rowing from Geraldton, Australia to Durban, South Africa, raising money for charity. Now, a month later, the crew is ready to depart. Without a support team the crew will row in regular shifts for the entire trip, losing 1kg every 3 days at sea. Estimating that the trip will take 80 days does not leave them with much leeway. I will certainly be keeping track of the progress on the Ubunye Challenge website‘s live tracker. On 11th June (weather permitting) a 7-person crew who have gathered in Geraldton, Australia will attempt a world first by rowing over 8000km across the Indian Ocean to Durban, South Africa. The crew will be skippered by world-renowned ocean rowing skipper Leven Brown, who resides in Scotland, and includes local Cape Town rower Cameron Bellamy. The crew will row in shifts of 2 hours on / 2 hours off for the entire duration of the row, which will probably take around 80 days or more depending on weather conditions. This expedition will be a world first. Ralph Tuijn made an attempt last year and narrowly escaped death when his rowing boat was crushed by a container ship – the closest effort to date reached Madagascar and Mauritius. The 45 foot purpose built-ocean rowing boat, Avalon, should be able to stand up to the conditions in one of the world’s most treacherous bodies of water which could see waves of up to 20m. She has a carbon constructed mono hull and will self-right if capsized. The crew, which comprises athletes from Scotland, Australia, South Africa and Iceland, will share the cramped space aboard without ever leaving the boat, other than for a quick mid Indian Ocean dip in the sea. They will need to be careful though to avoid any sharks that may be following the boat, a common occurrence on the Indian Ocean. The members of the crew include: Leven Brown (Scotland), Cameron Bellamy (South Africa), Jamie Douglas-Hamilton (Scotland), Tim Spiteri (Australia), Shane Usher (Australia), Fiann Paul (Iceland) and Heather Rees-Gaunt (Scotland). There will be no assistance during the row and all supplies will be carried with them. Each of the crew will get a daily ration pack containing three freeze dried meals and snacks which include; dried fruit, nuts and four chocolate bars. The crew will consume 6500 calories per day, but will be burning in the region of 8000 – 10000. They will be running a calorie deficit leading them to losing 1kg of weight every 3 days. Fresh water is another absolute necessity, which they have to make on a daily basis utilising solar and wind power. The desalinator is the most prized possession on board. They also have two back-up hand pumps in case electricity is lost. Leven is no stranger to being at sea. He has rowed 4 oceans, his longest taking 123 days – this will be the furthest. If that wasn’t enough, he’s also survived four hurricanes in a solo crossing of the Atlantic. 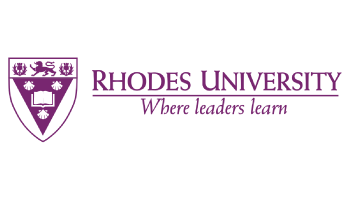 Article issued by Rhodes University. To view their profile on SAstudy, click here.